The University of California, Davis has been involved in fish and wildlife monitoring and research within Suisun Marsh for 35 years and has been instrumental in detecting important trends associated with naturally fluctuating environmental conditions as well as anthropogenic influences. Research has included a 35+ year time series on the fish and invertebrate communities of the slough networks, research on waterfowl nesting patterns and population biology, and research on the demography of salt marsh harvest mouse. The Suisun Marsh Fish Study anchors this effort as it is the longest established survey in Suisun marsh. It will continue the research of Professor Peter Moyle under the direction of John Durand, and will focus upon the detection of changes in the aquatic ecosystem in response to developing stressors in the San Francisco Estuary (SFE). This time series is designed to further our understanding of the ecology and function of the fish community residing within Suisun Marsh and the San Francisco Estuary (SFE), and acts as one of the key surveys with Interagency Ecological Program’s monitoring effort. Additional tasks will support other research, some of which is ongoing, and some of which is new. Funding for waterfowl studies will support and extend the research of Professor John Eadie, who has studied managed wetland production in Suisun Marsh for the past decade. Funding for mammal studies will support and extend the research of Professor Doug Kelt (UC Davis, Department of Wildlife, Fish and Conservation Biology), who has studied the ecology of saltmarsh harvest mouse in Suisun Marsh for the past 5 years. Funding for herpetological studies will support the research of Professor Brian Todd (UC Davis, Department of Wildlife, Fish and Conservation Biology), who is interested in Suisun Marsh managed wetlands as habitat for western pond turtles. 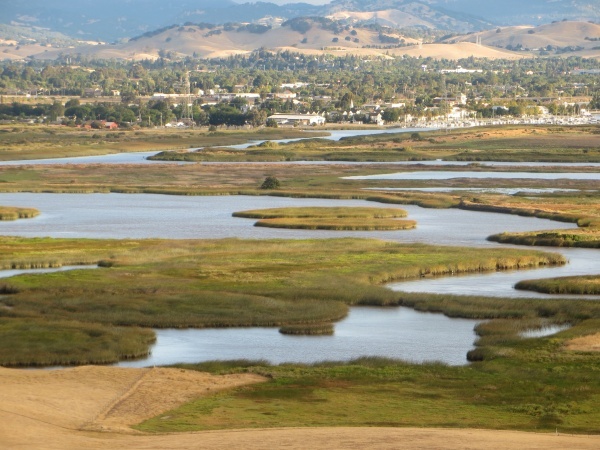 These projects will help to improve management of Suisun Marsh to benefit multiple taxa across changing estuarine conditions. This is particularly important currently because of the effects of drought and climate change, which are likely related to the declines of smelt and salmon in the SFE and its watershed. Trawl catches of native fishes in recent years show less vulnerability in Suisun Marsh to the pelagic organism decline (POD) than in other parts of the SFE. 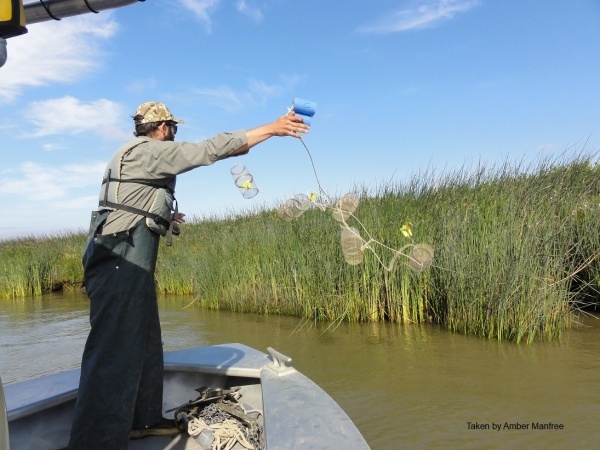 Recent analyses suggest that the Marsh may act as a refuge/nursery for young fishes, buffering stressors that occur in other regions of the SFE. Likewise, Suisun Marsh is a known source of waterfowl production that affects bird populations across the state. The Marsh also functions as a refuge for other taxa, but little is known about these populations. Together, these projects will support an integrative understanding of the ecology of Suisun Marsh and its management practices. The fish study has traditionally been constrained to the slough networks surrounding managed wetlands. Waterfowl studies have focused on pond dynamics. Traditionally, each research domain has not been able to “cross the levees” to integrate their work horizontally across the entire system. However, emerging research supports the idea that certain types of pond management can support both native or desirable fish species and waterfowl. By working with local stakeholders and each other, the UCD research team can examine the effect of changing management strategies in an effort to maximize potential ecosystem benefits, as well as to advise tidal marsh restoration programs.